Green Phoenix shingle roofing can mean anything from conscientiously using recycled/recyclable building materials for a roof to creating energy efficiency and savings through use of solar panels to creating an actual living garden on your roof. 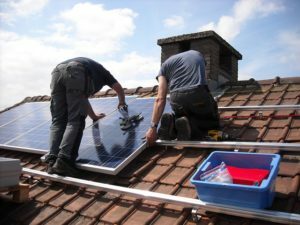 If you have decided to make your house part of the effort to help the environment and minimize the wastefulness that accompanies many traditional methods of roofing construction, there are several ways to ensure that you are constructing a roof that is helpful, not harmful to the planet. It seems to have taken far too long for people to understand solar power and the benefits having a solar roof provides to the homeowner. But now that environmental consciousness is something most of us understand, many people don’t know how to turn their awareness of the need to conserve into reality. 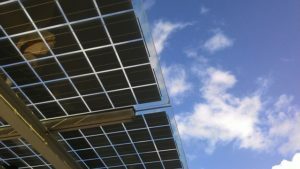 It isn’t difficult, but there are certain things to consider before choosing a solar roof, including wanting to know where solar works and where it doesn’t. One myth about solar energy is that solar panels don’t work unless the sun is shining brightly onto them. The truth is that solar panels are effective in climates that have long gray rainy periods. In fact, Germany is the world leader in solar power – and it gets less annual sunlight than Seattle! Don’t simply assume that where you live is the “wrong” place for a solar roof because you may just be cheating yourself out of impressive savings on your energy bills. As the name implies, a cool roof is one that transfers less heat to the building it is on than a traditional roof does. Cool roofs use reflective products to keep sun-produced heat from being absorbed and as a result, transfer less heat to the structure beneath it, so the building stays cooler and requires less energy for air conditioning. White is the most common color for cool roofs because of its reflective nature, but many roofing materials that are reflective now come in a wide variety of colors and materials; even metal roofing products can now be EnergyStar rated. The process of replacing a roof provides the homeowner with the perfect opportunity to look around with an energy-conscious eye and make changes and improvements that will save energy. One improvement that is easy to overlook is to evaluate attic ventilation; most of us take it for granted that our homes were originally built to certain specifications and that those specs still apply. But whether your home was built in 1910 or 1980, the developments in the building industry and the increasing awareness of conservation has created a whole new set of choices and challenges. Proper ventilation in the attic actually helps your roof last longer and reduce energy costs. Take the construction opportunity to ensure that your vents are clean, your fans work well and your lights are energy efficient. Small changes like this add up to savings for the environment and the homeowner. While traditional asphalt or composite asphalt shingles do not directly on your energy savings, they are still the least expensive choice for roofing material on the market and do offer some environmental positives. 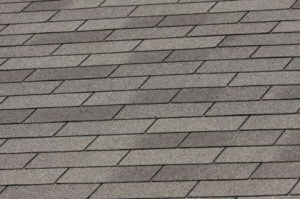 Many of the shingles on the market today use recycled content to start with and when they are worn out they can be recycled; even asphalt shingles can be ground up and reused to pave driveways, fill potholes and even for new roofing! These inexpensive shingles can now be made to look like slate tiles, cedar shake or any number of other materials and styles used for roofing, and many manufacturers now offer recycling programs. Even if they don’t, it’s easy to find places that recycle roofing materials including shingles. These are just a few of the ways the environmentally conscious homeowner and builder can make sure that they are contributing to a new way of viewing our responsibility to the planet and helping it become more sustainable. While there is no perfect fix – yet – there are plenty of ways to help reduce cooling and heating costs, reuse materials that would have wound up in a landfill otherwise, reduce greenhouse emissions and decrease air pollution.